How to Improve my Accent-Call Center Employee? Who is a Call Center Employee? 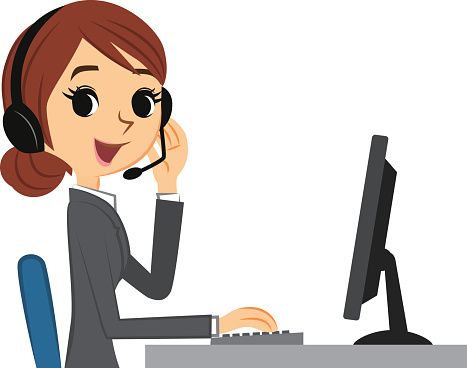 The job of a call center employee is to make outbound call and take inbound calls. The office where they operate from is called a call center. There are inbound and outbound call centers. In an inbound call center, the employees are responsible for taking the calls made by the customers. Sometimes the employees who work in an inbound call center are also known as customer care executives. The call centers that operate for services like telemarketing and sales are known as outbound call centers. The basic requirement to become a call center employee is the ability to speak English fluently. If you can speak really well and can understand American accent, you can easily become a call center employee. Moreover, speaking like native American can be an added advantage for you. If you wish to become a call center employee, speaking correct English won’t be enough for you. You should have an ear to understand and speak like native Americans as well. How to Improve my Accent as a Call Center Employee? 1. It needs a lot of dedication and time to improve your accent. It cannot be done overnight as you need to put in a lot of hard work if you really wish to improve your accent. 2. The first and foremost thing is to learn the correct pronunciation of the words. Learning the proper pronunciation will help you sound clear and more understandable. 3. You can also work on intonation. The dictionary meaning of intonation is “the pattern or melody of pitch changes in connected speech, especially the pitch pattern of a sentence.” Intonation is known as the rhythm of a language. You may sound like native American if your intonation is correct. 4. Practice makes a man perfect. So the next important thing is practice. Practice pronunciation and intonation of the words. Listen very carefully to Americans and observe how they speak. Take notes if required. Try to remember how they utter words when you practice. 5. Try to spend time in speaking or chatting with people who can speak like native Americans. This can give you a good practice. 6. Stand in front of a mirror with a book in hand. Try to read aloud from the book in American accent. While you read out, try to observe how you pronounce the words in American accent. 7. Try to watch American movies and listen to the actors very carefully. You may try to imitate their pronunciation and the way they speak. 8. To become an outstanding call center employee, you can also take help from online e-learning English speaking courses. The classes can be taken from the comforts of your home and you do not need to travel long distances. The classes are held by eminent teachers who can help your improve your pronunciation and accent in the best possible way. Want to know more about “How to improve my accent-Call Center Employee?” Click here to schedule live online session with e Tutor! 2. How to Improve Pronunciation?